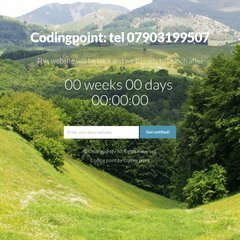 Topics: Codingpoint, Portfolio, Seo Services, and About/contact. Its 2 nameservers are ns2.bluehost.com, and ns1.bluehost.com. Its IP Number is 66.147.244.243. Bluehost Inc (Utah, Provo) is the location of the Apache/2 server. PING (66.147.244.243) 56(84) bytes of data. A ping to the server is timed at 72.5 ms.